Accidently Preserved Volume One is a really fun and interesting collection of shorts from Undercrank Productions. 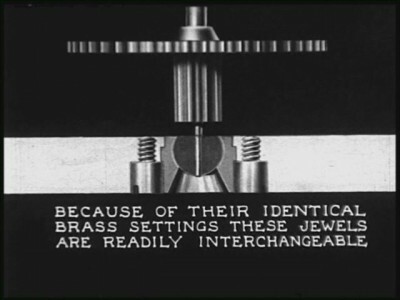 Filled with exceedingly rare films, the transfers were taken from 16mm film, the only source for most of these. Originally intended for the home market these reels still exist thanks to collectors who dutifully took care of the prints for decades, accidentally preserving them in the process. This first volume presents nine shorts, mostly comedies, featuring a wide array of rarely seen comics. There are only three shorts featuring Wallace Lupino (brother of the more famous Lupino Lane) in existence, and one of them starts off this collection. 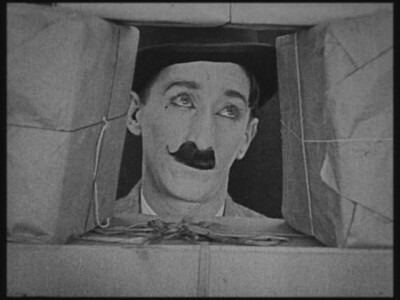 He was an able comedian, like his brother, and gives a fine performance is The Lost Laugh where he buys a new-fangled clothes washing machine (you have to manually pour water into the drum that holds the clothes) from a door-to-door salesman. Just the premise sounds hilarious. Wallace isn't the only man with a sibling that's a star to be featured on this disc. 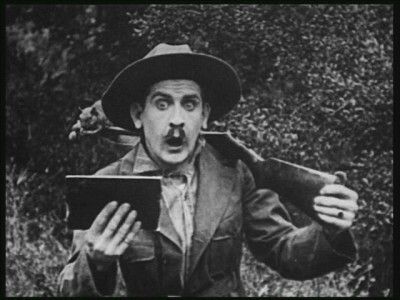 Paul Parrott, who stars in Shoot Straight, was the younger brother of Charles Parrott aka Charlie Chase. 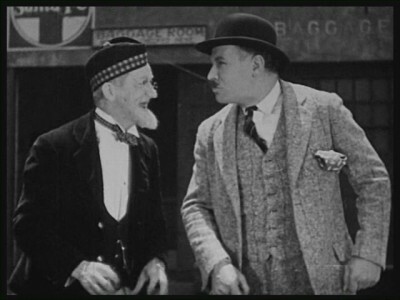 He starred in a series of one-reelers for Hal Roach. This comedy has him out hunting squirrels with a how-to handbook and a shotgun with a fishing reel mounted to it. There are some nice gags and word play in the short and it's pretty funny. Another highlight is Loose Change, a short staring Jack Duffy in his character of Sandy McDuff. McDuff was a spry old man with white whiskers and a kilt from Scotland who was well-to-do, but still very tight with his money. In this short a gold-digger tricks him into proposing and goes on a spending spree before Sandy comes up with a plan to get out of the arrangement. There is a single animated film in this collection, Mechanical Doll featuring Koko the Clown. Max and Dave Fleischer created the popular character and this mix of live action and animation includes Max as a cartoonist and Dave as a projectionist. Koko draws a doll that comes to life and dances wonderfully. 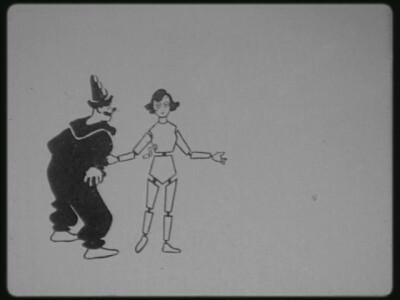 Max Fleischer invented the Rotoscope and it's used to great effect in this cartoon. Dave was filmed cavorting around and acting out Koko's parts, and then the film of his movements was used to animate Koko. The result is very fluid animation that looks wonderful, even in black and white. Clyde Cook who started his movie career in 1919 and had his last role in 1963 plays a hen-pecked husband who runs off to join the marines in The Misfit. One of my favorite shorts in this collection, Cook's timing for the gags in impeccable and the results are hilarious. Worth watching if only for the marching drills that he's put through once he's in the service, this is a funny, funny short. One other film that has to be mentioned is The House of Wonders. A short made by the Elgin Watch Company to promote their time pieces, it's an interesting look at what a large factory was like in the first part of the last century. They show the steps that go into making a watch and some nice animation is used to illustrate some of the processes. It was very interesting and informative. If you've ever seen a silent film with random music played over it (as public domain publishers often do) you'll know how much a good score adds to the viewing experience. Ben Model provides the music for these shorts, from scores he composed, and they are great. These tracks fit the subject matter and the music (preformed on both organ and piano) really helps to bring the films to life. There are no dropouts or other audio defects. The only extra is a page saying thanks to the Kickstarter backers. You will want to watch this until the end however. Trust me on this. Historically important, very entertaining, and featuring some talented and very rarely seen comedians, this is an excellent collection. There's not a bad short on the disc and I honestly enjoyed them all. It comes Highly Recommended.